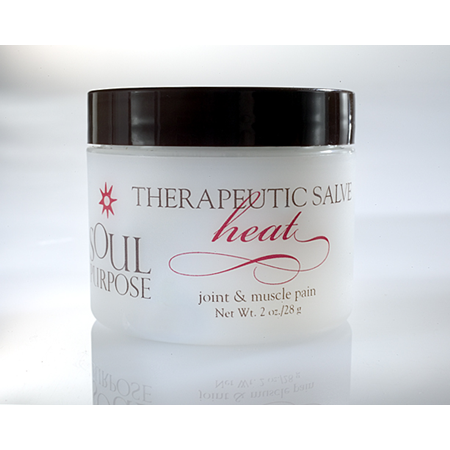 Remedial salves created by, founder, Nadine Thompson exclusively for Soul Purpose. Nadine used traditional recipes from her roots in the caribbean that were passed down from her grandmother. Some of the salves include extracts of ginger, nutmeg, eucalyptus, menthol, bitter orange and cinnamon and most important love and tradition. 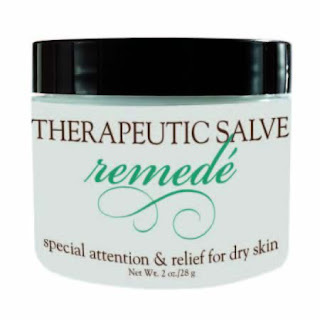 An intensely moisturizing salve for dry, itchy skin. moisturizes and lubricates hard working hands. Directions: apply to the skin paying special attention to rough dry areas including feet, heels, elbows and knees. Ingredients: aloe barbadensis leaf extract lanolin, purified water, stearyl alcohol, petrolatum, coconut oil, glycerin, chamomile flower extract, grape seed extract, calendula officinalis flower extract, cocoa seed butter, shea butter, retinyl palmitate, tocopheryl acetate, panthenol, carrageenan, witch hazel, titanium dioxide, rosemary oil, eucalyptus globulus leaf oil, peppermint oil, jojoba seed oil, boric acid, phenoxyethanol, caprylyl glycol, sorbic acid. For the temporary relief of minor aches and pains of muscles and joints associated with simple backaches, arthritis, strains, sprains and bruises. Provides deep, penetrating pain relief. Warnings: For external use only. Avoid contact with the eyes. If condition worsens, or if symptoms persist for more than 7 days or clear up and occur again within a few days, discontinue use of this product and consult a physician. Do not apply to wounds or damaged skin. Do not bandage tightly. Directions: adults and children 2 years of age and older: apply to affected area not more than 3 to 4 times daily. Children under 2 years of age: consult a physician.